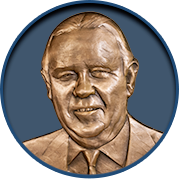 The World Golf Hall of Fame Class of 2017 includes Henry Longhurst, Davis Love III, Meg Mallon, Lorena Ochoa and Ian Woosnam. These five new Members were inducted into the World Golf Hall of Fame on Tuesday, September 26, 2017 at Cipriani Wall Street in New York City the week of the Presidents Cup. The Induction Ceremony was broadcast live on Golf Channel. Visit the Hall of Fame YouTube page to relive the ceremony. A weekly columnist for the London Sunday Times for 40 years. He was also considered to be the first golf TV personality providing coverage for the BBC from the 1950s until his death in 1978. 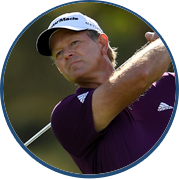 In a career that has spanned four decades on the PGA TOUR, Love has notched 22 victories including the 1997 PGA Championship and two victories at The PLAYERS Championship in 1992 and 2003. 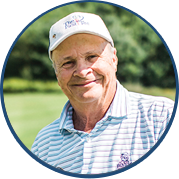 His quality of play has earned him a place on six U.S. Ryder Cup teams and six Presidents Cup teams. He has captained two Ryder Cup teams, including the victorious 2016 team. Love is a recipient of both the Payne Stewart and Bob Jones Awards. Her 18 career LPGA Tour victories and four Major Championships are just part of Mallon’s winning make-up. A member of nine Solheim Cup teams (captain in 2013), Mallon was recognized during the LPGA’s 50th Anniversary as one of the LPGA’s top-50 players and teachers. 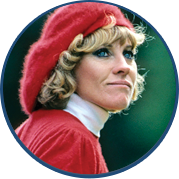 She also earned the Golf Writers Association of America Female Player of the Year award in 1991. In her first full season on the LPGA Tour, Ochoa Reyes had eight top-10 finishes, finished ninth on the LPGA Tour’s money list and was named Rookie of the Year. 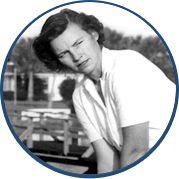 She finished with 27 victories on the LPGA Tour, including two major championships. She was ranked World Number One for 158 consecutive weeks (2007-2010). In a three-year stretch (2006-2008), she won 21 tournaments, including the two majors and in 2008, she dominated with wins by as many as 11 strokes on more than one occasion. Ochoa Reyes will be the first Mexican-born golfer to enter into the World Golf Hall of Fame. 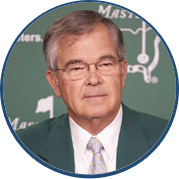 “Woosie,” winner of the 1991 Masters Tournament, sat atop the Official World Golf Rankings for 50 weeks throughout 1991 and 1992. His sterling play led him to represent Europe in eight consecutive Ryder Cup teams from 1983 to 1997. Woosnam won the Order of Merit as the leading money winner on the European Tour and named European Player of the Year in 1987 and 1990. In recognition of his contributions to golf, he was awarded the Queen’s honor of Officer of the Order of the British Empire (OBE) in 2006. These five Inductees will bring the total number of World Golf Hall of Fame Members to 155.